Juvenile. Leonis phase. We got a bit carried away with the bi-colors in the early 2000's as they opened up a new door of variability. The black is ultra reduced on this specimen. Though the wording would have you think otherwise, reduced black and hypomelanism are not necessarily the same thing. 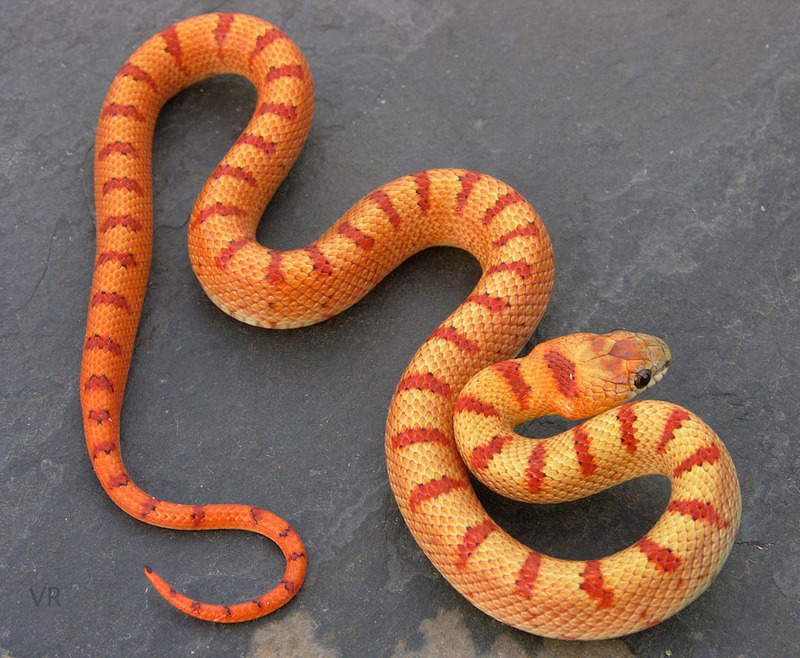 The high, isolated pin bands work very well visually on this snake.